Although at times I feel like I just graduated college - and then quickly reminded that is not the case after a "fun" night out - I'm now in the stage of life where a lot of my friends are pregnant, have a baby or planning for a baby! It's kinda crazy (in an exciting way!). Our conversations used to (always) have the phrase, "Nooo, no babies yet! One day though..." you know, that one day in the far, far future. Well, that one day is now here and our chats have slightly changed. Today’s convos tend to touch on subjects like, which books to read to prepare for pregnancy, to discussing (AKA laughing together) about the hot flashes or mood swings they’re experiencing from being pregnant, to what their baby's first word or solid food was. With that said, over the past few years I have been buying my friends the cute baby onesies, baby books and (incredibly soft!) baby blankets. 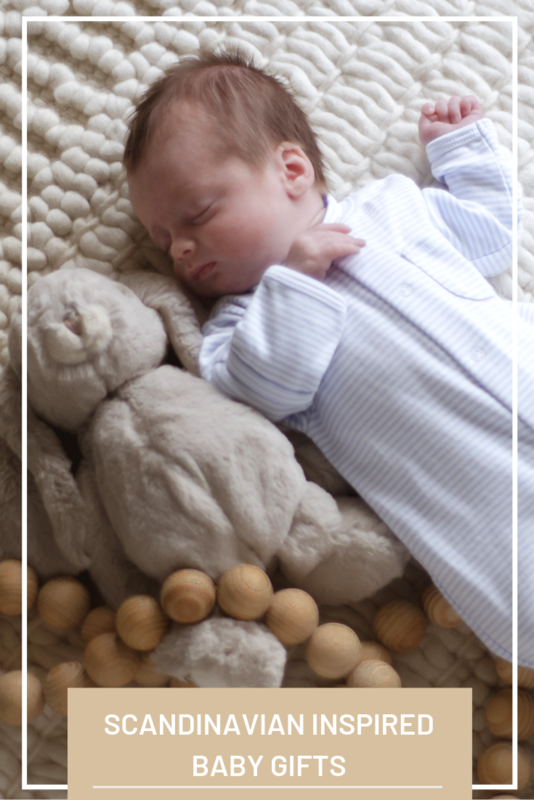 But, I realized that these adorable baby items are pretty much given to the mom-to-be by everyone (who can pass up that ridiculously cute and fluffy polar bear onesie?!). Inspired by my big sis being pregnant for the first time (baby boy due in March! 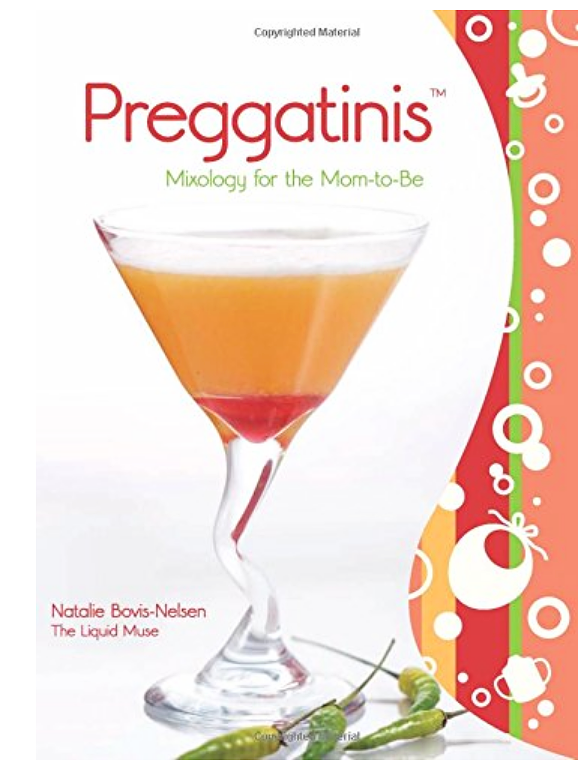 ), I have compiled a list of gifts specifically for the mom-to-be that will help make her life easier once their "mini-me" arrives! With the input from some of my "newly mom" friends, here is a list of 20 items your friend will appreciate during the pregnancy and beyond. Being nauseas may be one of the worst feelings. These organic (and gluten free!) 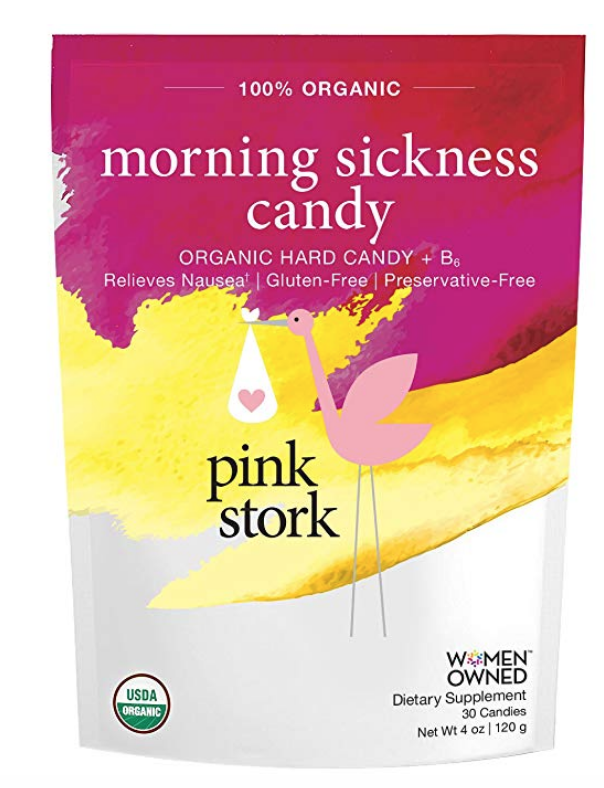 candies could just be what helps your sweet pregger friend get through her day! While she is wandering the hospital halls , feeding her baby or being greeted by friends + family, this robe will make her feel stylish during it all! 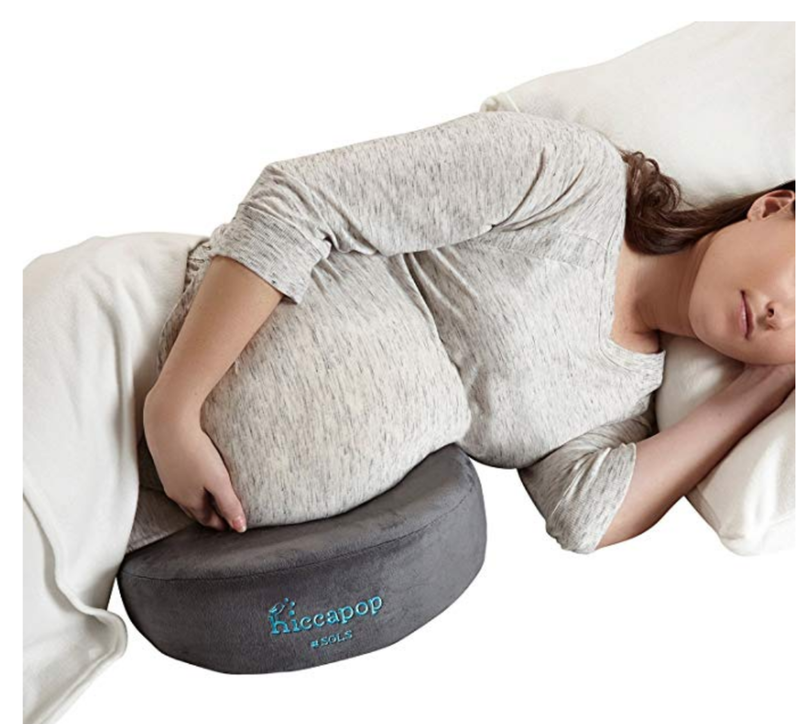 This is a cool pillow because it has multiple functions and is easy to travel with. It will help reduce swelling in hands, feet and back, allow you to sleep on your side and/or can be used as a backrest in chairs. I can only imagine the pressure or pain you may feel when the cute little baby bump grows into full term. 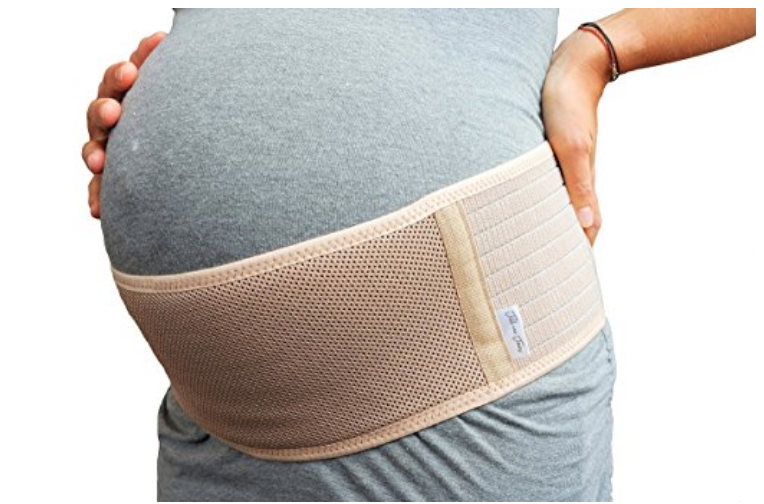 The baby belt helps with hip + pelvic pain, improves posture, and alleviate symptoms associated with varicose veins. Okay. 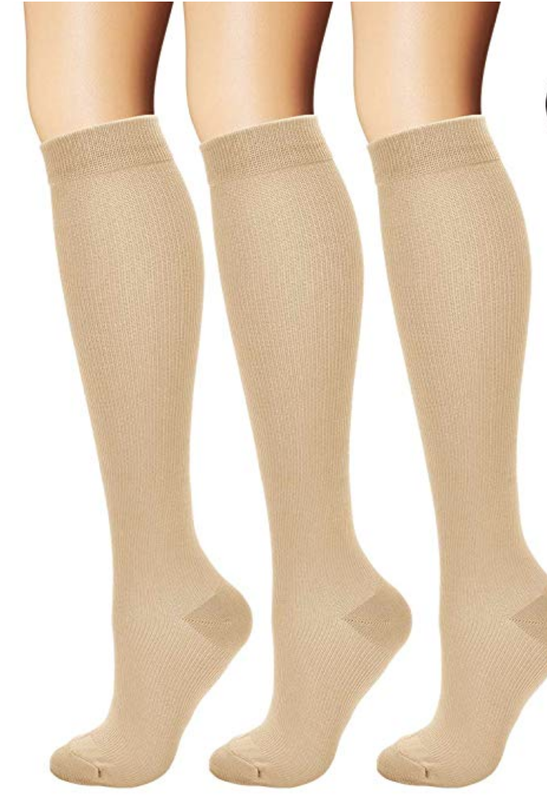 Maybe not the most fashion forward look - but these will help prevent varicose veins, increase blood flow and reduce swelling in the legs, ankles and feet; all of which are common symptoms during pregnancy. This is something everyone needs, pregnant or not. Applying the oil will help moisturize the skin and prevent scarring from stretching skin. Something I never really thought about is how challenging it may be to keep up with simple house cleaning once the baby arrives. The prime focus for new parents is to take care of the baby - they most likely will not have the time (or energy) to get the broom out and sweep. This robovac can be the perfect gift that will literally clean the floors/carpet for them and checking one less thing off the to-do list! Life isn't fun without a little humor ;) This cute mug can be a simple mood booster during those long nights or early mornings! 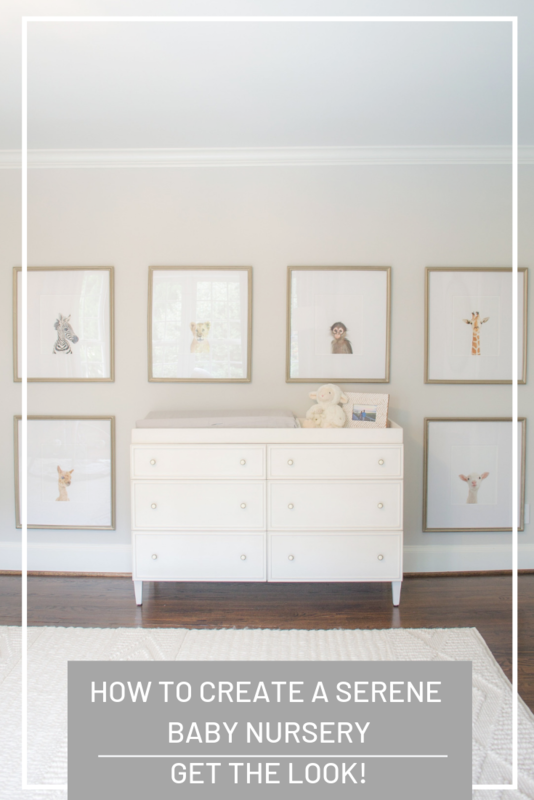 Chances are the baby won't be near the nursery at all times for a quick change, nor use the bathroom at all convenient times ;) This changing pad is great to have in different rooms of the home or while traveling making it easier to freshin' up those cute little bottoms! With multiple compartments and easy access pockets, you can use this as a backpack or handbag. It comes in multiple colors and its simple design is attractive for both mom + dad to use for all occasions. Whether you are making homemade baby food or slow cooking a roast for dinner, this is a great value add to new parents. The instant pot has 7 functions: 1) Pressure Cooker 2) Steamer 3) Slow Cooker 4) Rice Cooker 5) Yoghurt Maker 6) Saute Maker 7) Warmer. A sweet gift for the new mom to express her feelings and thoughts during her pregnancy...something that she will keep forever. A thoughtful gift that can be used for multiple occasions, and she'll probably think of you when packing her bag for the hospital! Eco friendly nursing pads that can be reused and washed for multiple uses - no doubt she will be very appreciative of these handy pads during her breastfeeding phase! Comfortable and practical clothes will probably be what she wants most while being home with the baby. These bras will give support while conveniently allowing her to feed the baby throughout the day. Last but not least, a helpful but comical "survival" book for once the baby does arrive!